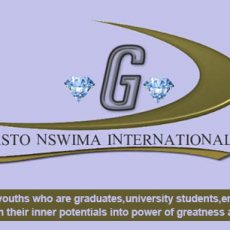 GASTO NSWIMA is young african teenager motivational speaker from Tanzania, who passed through many adversities into becoming inspiration for other especially youths,parents and business people while still at young age. He was among the children who never knew what problems looked like because he was getting everything from his rich dad. But after his father died, life totally changed his directions and showed him a bitter side and with that effect,he got into life where he made alot of mistakes and struggled too much to get back on track. The major turn around in his life took place when his mother failed to take him to university because of poverty in the family. When he was sadly sitting in his room thinking about the end of his future, a thought came in his mind “YOU ARE HERE FOR A PURPOSE, AND EVERYTHING YOU PASSED IS TO GRAVITATE YOU TOWARDS YOUR DESTINY, IS NOT TOO LATE YOU CAN BECOME WHAT YOU WANT TO BECOME SO YOU CAN START WHERE YOU ARE WITH WHAT YOU HAVE” . Suddenly his life took new meaning after he encountered Jesus Christ as his lord and saviour from there on he chose to be a success and inspiration to other people through speaking in churches,high schools,universities and also speaks to parents and teachers in streets. His vision: To make African continent one of super powers in the world.